When you’re working with text on your Mac, there may come a time when you need to switch upper and lowercase letters. 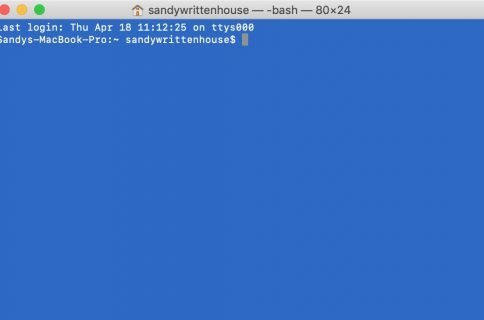 Maybe you received a text file that’s all uppercase or maybe you’re typing up a document and need to do the opposite for a single word. 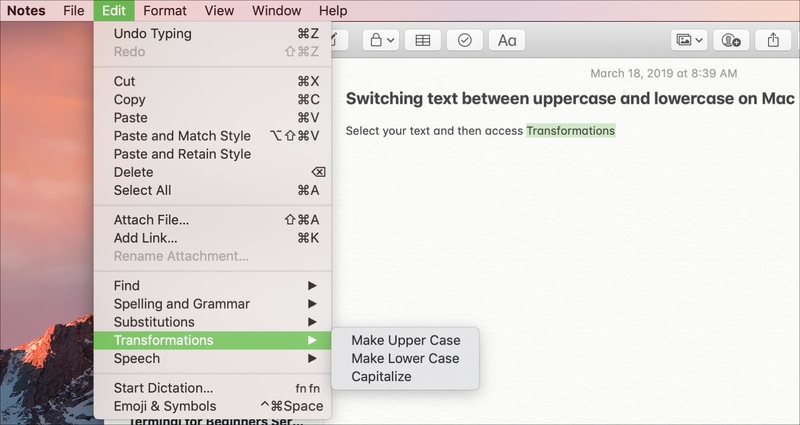 You can quickly switch text between uppercase to lowercase on Mac and here’s how. 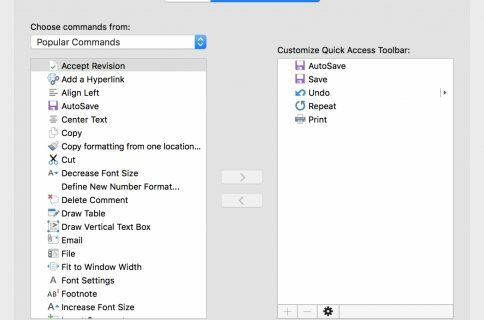 If you’re using an application like Pages, Notes, or TextEdit, follow these steps to change the case. 1) Select the text, whether a single word or entire document. 2) Either click Edit > Transformations from the menu bar or right-click and select Transformations from the context menu. 3) Choose from Make Upper Case, Make Lower Case, or Capitalize. The first two options will change all letters to that case, whereas Capitalize will simply make the first letter of the word(s) a capital letter. 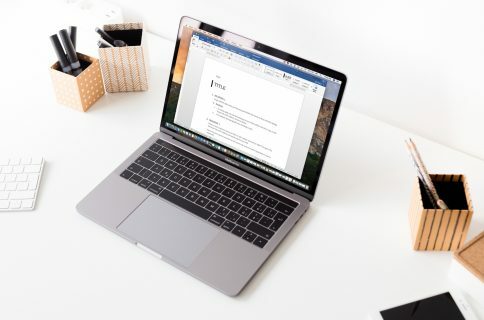 While the above steps work for most applications on your Mac, Microsoft Word is a little different. You can use a handy keyboard shortcut to quickly change letter cases in Word. 2) Hold Shift and press F3. You can continue to hold the Shift key and click F3 to move through the uppercase, lowercase, and capital options until you get the one you want. 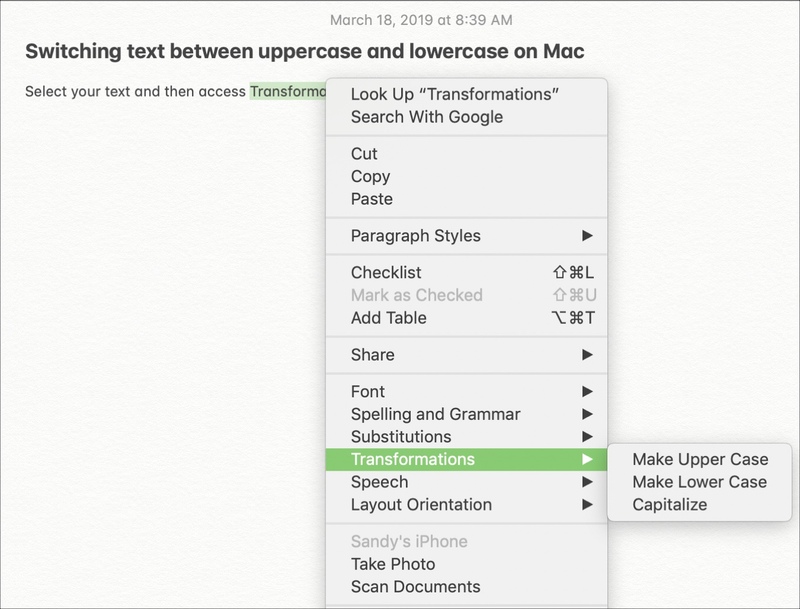 Switching between uppercase and lowercase letters on Mac might not be something you have to do often, but it’s good to know how when you need to. For more how-tos for Mac, iPhone, iPad, and more, check out our tutorials section.